In honour of the game's birthday, we prepared gifts! A special holiday pattern is available once again. 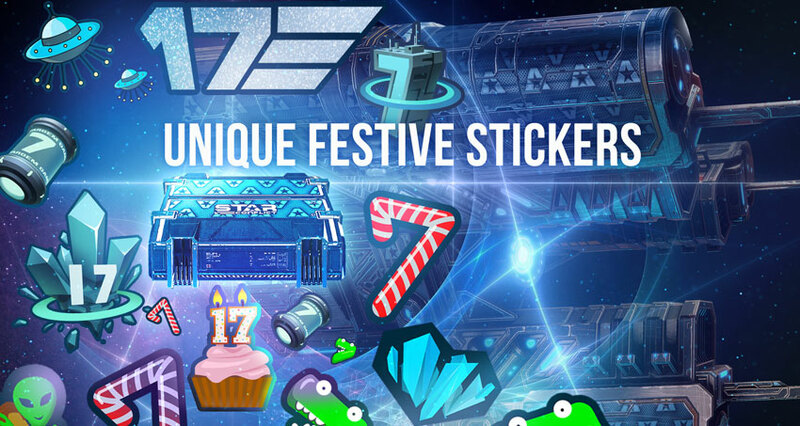 New unique festive stickers in honour of the 7th anniversary of the game have become available. The stickers will be available for a limited time! Unique stickers in honour of the 17th anniversary of the company “Targem Games”, the developer of the game “Star Conflict”. The stickers will be available for a limited time! Get all the stickers and the festive pattern in a special container bundle. To do this, you will need to go to the “Bundles” tab and select “Festive bundle #7” and “Festive bundle #17”. In addition, we decided to launch fireworks in the Fringe Sectors, of course, with your help. Now for some time you can admire the fireworks in the game and thoroughly celebrate in game modes. For the most distinguished, we have prepared a special achievement, which can be obtained only during the holiday. Deal damage with a special anniversary battery of rockets. The presents are automatically sent to player accounts. 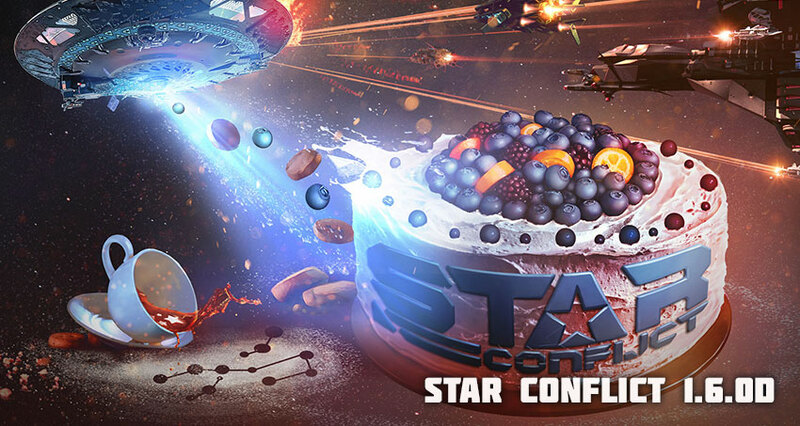 Game time was calculated at the time of the Star Conflict 1.6.0d launch. Pilots! UMC announces the start of the deadly Sector Conquest battles. At the time of the event, the number of possible respawns in SecCon is limited by the number of ships taken into battle. If you lose the ship during the battle, you will not be able to fly it again. Deadly battles will start on January 31. Corporations get the opportunity to own three dreadnoughts at the same time. Added SecCon battle practice to “Custom battle”. Added a daily task with a reward of 5 monocrystals. The mission “Ariadne's Thread” is once again available to players﻿﻿. Now the swarm, too far removed from the destroyer, is destroyed. Before the destruction, some time is given to reduce the distance to the destroyer. The “Crew” button is moved to the combat slots. The “Atlas” button has been moved to the previous “Crew” button position. The “Leaderboards” button is renamed to “Achievements” and combines the achievements, medals and leaderboard screens. The buttons “Atlas”, “Achievements”, “Medals” are removed from your own profile window. In other pilots' profile windows the leaderboards, medals and achievements are combined in the button “Achievements”. 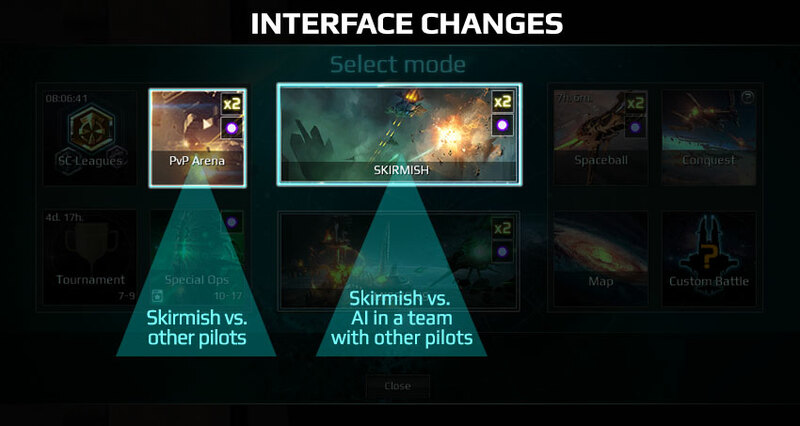 Some buttons, such as “Custom battle”, “Brawls” and “Map” in the mode selection window were swapped for better grouping by PvP and PvE activities. Improved a number of PvE missions. Fixed a bug with radar destroyers and certain equipment. Fixed a container error on the map “New Eden Station”. Fixed a loss of input focus when trading and manufacturing. Fixed a target lock icon bug. Fixed the lack of icons of some effects in “Conquest” mode. Fixed the damage dealt in the profile of some pilots. Fixed a bug with identical icons of different versions of some guns. Fixed the influence of the level of installed weapons on the damage of the special module “Cluster missile”.